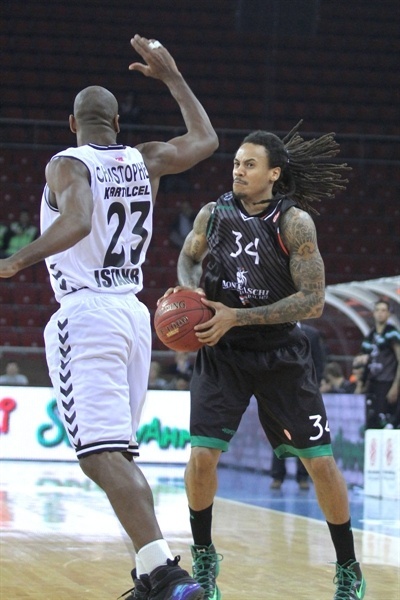 Tutku Acik scored a driving layup with 0.6 seconds to go as Besiktas JK Istanbul edged Montepaschi Siena 72-70 for its first-ever Top 16 victory at Abdi Ipekci Sports Hall on Friday night. The thrilling win improves the already-eliminated Besiktas squad to 1-11 in Group F, while Siena suffered its third consecutive loss, dropped to 7-5 and saw its playoff hopes take a hit. After the teams traded leads for the entire first half, midway through the third quarter Siena built the largest margin of the night, 39-46. 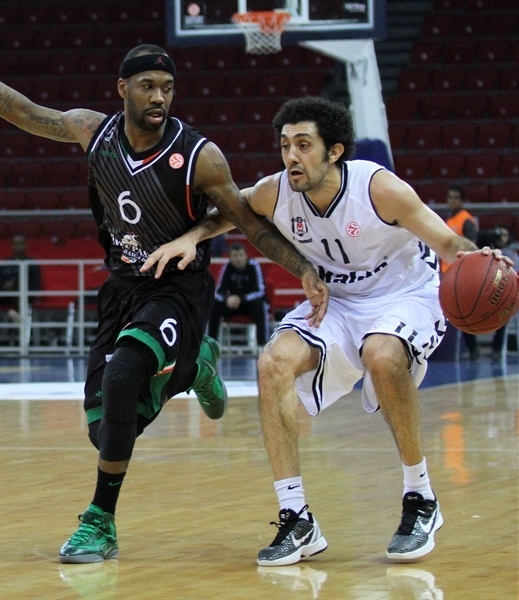 Besiktas came back, and with back-to-back triples from Serhat Cetin and Damir Markota regained the lead, 67-66. Siena still entered the final minute up 68-70, but Acik scored two driving layups in the final 45 seconds to give Besiktas the historic win. 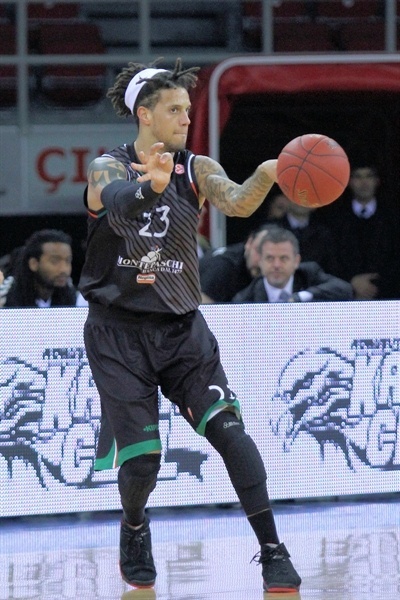 Acik finished with 17 points, while Cetin and Ricky Minard each scored 14 in victory. For Siena, Bobby Brown netted 19, David Moss had 16 points on 4-for-7 three-point shooting, and Kristjan Kangur added 9 in defeat. 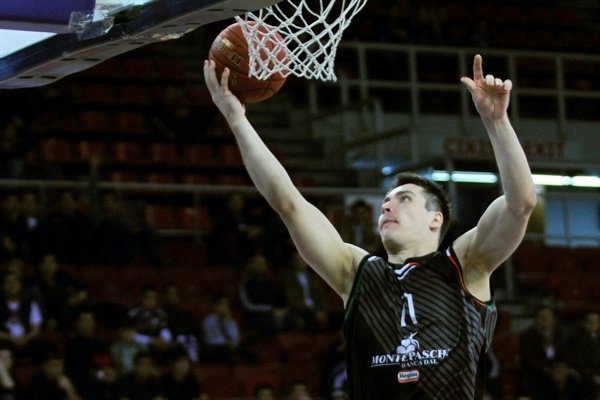 Gasper Vidmar started the game with a slam dunk, and Benjamin Eze opened Siena's account. Brown followed it up with a fastbreak dunk and a jumper, while Minard and Fikret Akin sank jumpers for the hosts, as the sides traded leads early on. Vidmar scored inside to make it 8-8, before the two teams combined on four consecutive triples - Patrick Christopher and Minard for Besiktas, while Brown and Moss hit for the visitors, 14-14. Eze’s baseline jumper put Siena in front again, before Vidmar and Acik made it 18-16 after 10 minutes. Siena opened the second quarter with fastbreak baskets from Moss and Viktor Sanikidze, but a triple from Acik put Besiktas back in front. The teams continued to exchange leads as Moss and Acik traded triples before Cemal Nalga’s shot made it 28-25. Cetin followed it up with a two-pointer and a three-pointer on back-to-back possessions, extending the lead to 33-29. However, Brown made a layup, already getting his tally into double figures, before Eze and Kristjan Kangur scored more buckets inside, making it 35-35 at halftime. After Vidmar split free throws to start the third quarter, Moss put Siena in the lead with a triple. Minard briefly put the hosts back in front, but Brown hit a triple, Benjamin Ortner made a big dunk and Kangur capped a 0-8 run for a 39-46 Siena advantage. 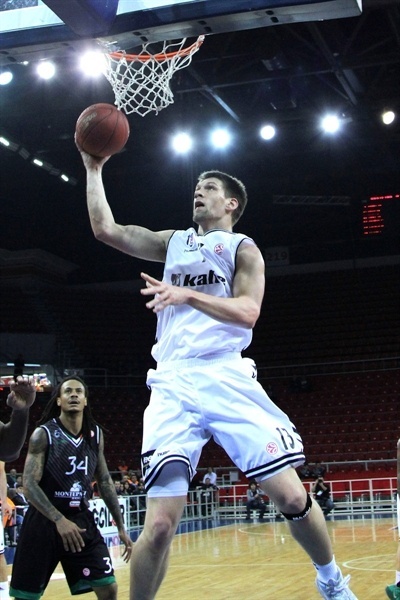 Besiktas quickly answered with a three-pointer from Akin and a layup from Cetin, but Ortner and scored twice inside to keep the visitors in front, and Eze’s free throws made it 48-53 after three quarters. Minard and Kangur traded jump shots to start the fourth quarter, before Nalga made a pair of foul shots and added a layup for 54-56. Moss answered with a three-pointer, but Minard hit a jumper and Acik sunk a three to make it 59-59. Siena did not allow the hosts to regain the lead right away, though. Hackett and Moss combined to hit 5 of 6 free throws and Brown made a driving layup for 61-66. 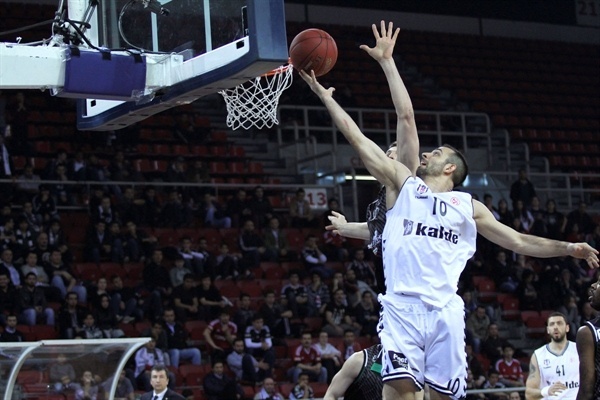 But, back-to-back triples from Cetin and Damir Markota put Besiktas back in the lead, 67-66. 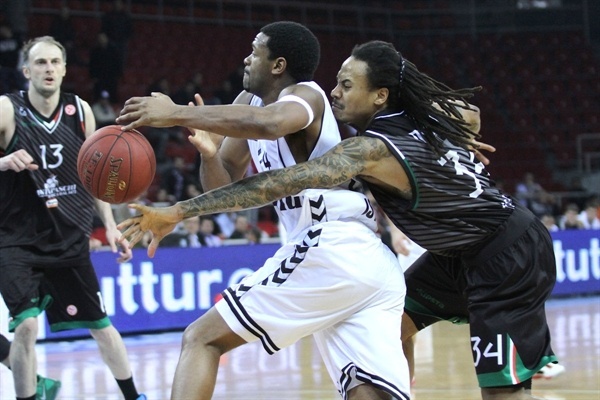 The visitors used free throws from Brown and a long jumper from Kangur to get back in front, but Acik scored two driving layups in the final minute, the second one coming with 0.6 seconds to go that gave Besiktas 72-70 lead. In the remaining time, Brown attempted a long baseline runner, but his shot rolled in and out, and the home team started celebrating a historic win. "We wanted to win today. This was our first Top 16 win. We prepared well for the game with the goal of winning. 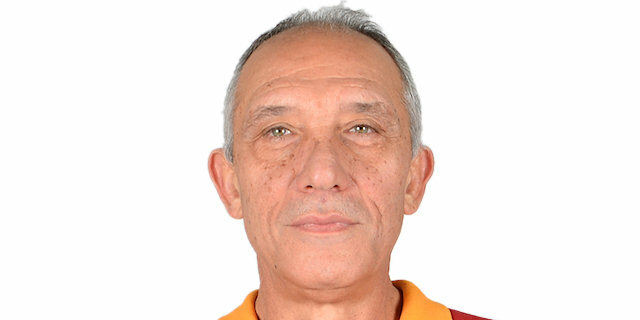 We now have an important [Turkish] league game. Starting tomorrow, we must focus on that. "